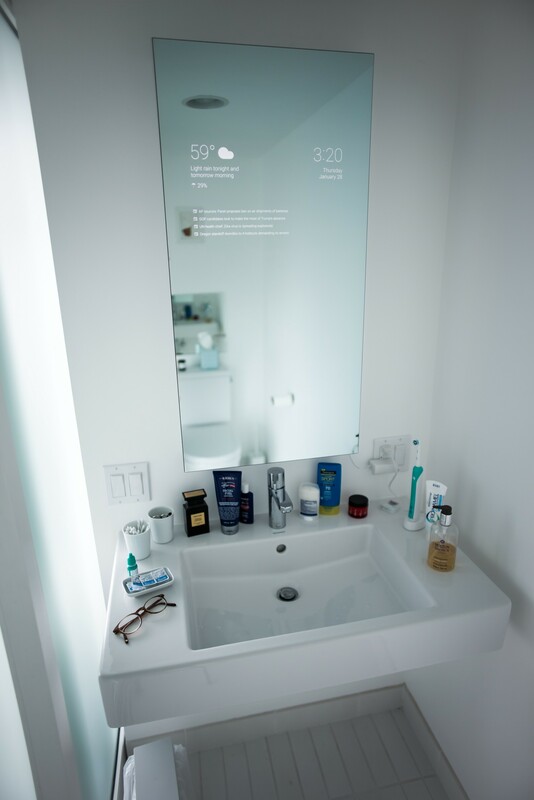 After searching the market with no success, a Googler set out to make a futuristic mirror for his bathroom. 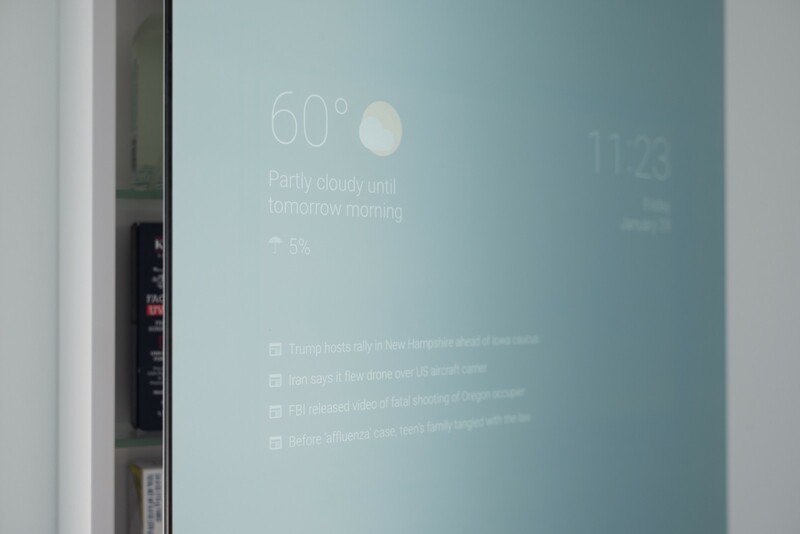 Using easy-to-acquire components, he built a mirror that could display local weather, news headlines, and the time. In the future, he hopes to be able to display anything that has a Google Now card. As for the construction, a two-way mirror was used, display panel, controller board, plus a bunch of random components to fuse it all together. 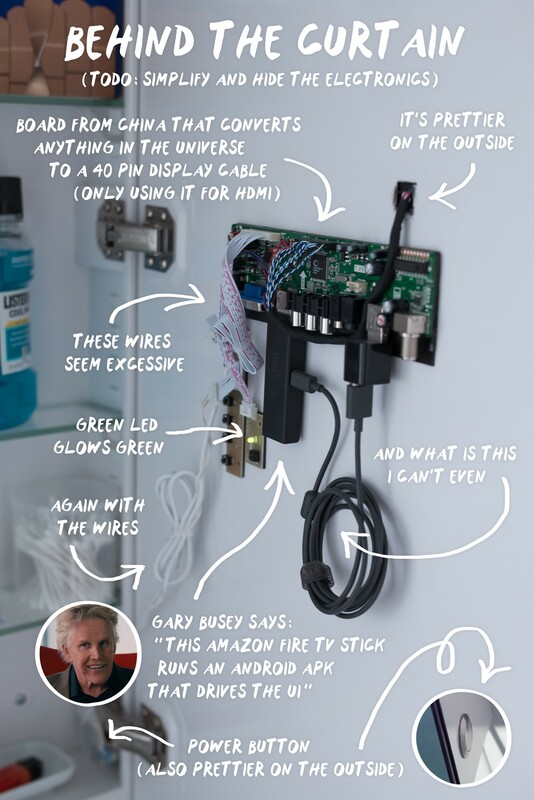 For the UI, select Android APIs were utilized, and powering the unit, is a Amazon Fire TV Stick. At first, the Googler experimented with a Chromecast, followed by a Nexus Player, but for now, a Fire TV Stick is being used. Naturally, there is no how-to for this project quite yet, but possibly in the future. Given this is a Googler we are talking about, we would love to see this project made into something a bit more obtainable for your average consumer. Below, check out the photo of how it looks in the bathroom, followed by a “Behind the Curtain” photo which shows off all of the hardware inside. Sign me up as someone who wants this very badly.